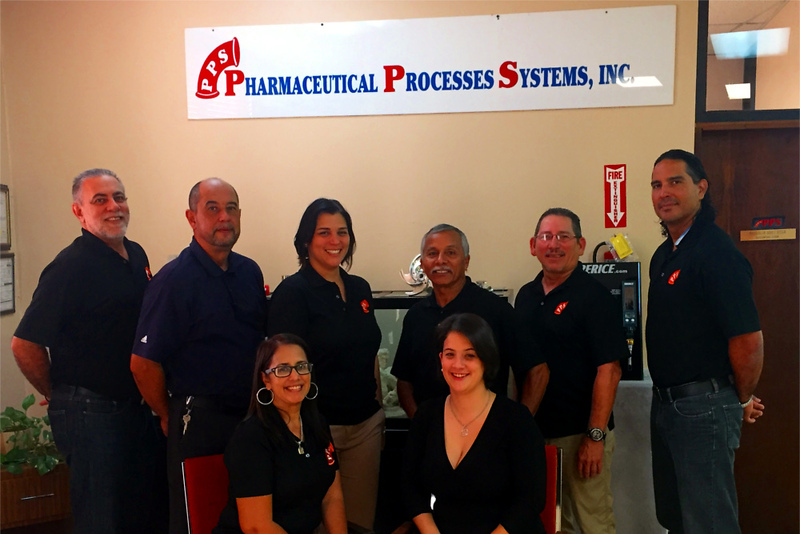 Pharmaceutical Processes Systems, Inc. was founded in October 13, 1982. It’s main purpose is to serve the Pharmaceutical, Food, Chemical and Power Industries in Puerto Rico and the Caribbean by supplying the highest quality materials and equipment to be used in sanitary as well as corrosion resistant systems, and various processes inherent to these industries. We are a Certified Bonafide Minority Business Enterprise. SDC 5019. Our sales calls are directed to Purchasing Project Engineering, Maintenance, Production and Quality Control within the industries we serve. We also maintain a strong relationship with Contractors serving the Industry. Because of the specialty house approach, we establish the necessary communications with recognized engineering, consulting and design companies as well as contractors, in order to develop systematic specification and approval of our equipment in up coming projects. The corporation is well established in the markets being served and enjoys a very good reputation with its customers. Given the new economic conditions, based on the progressive elimination of tax incentives for new investments in Puerto Rico, our efforts are now geared to in-house projects and optimization of Process Systems. Born 1940 in Aguadilla, P.R. graduated from Fordham University, 1963 with a BA in Philosophy, married, father of two. Thirty-five (35) years selling experience in P.R., all with Industrial Distributors; attended over (15) fifteen training schools with different manufacturers. Angel A. Perez passed on October 19, 2015. We will never forget Him! Born in Chicago, USA 1970. Attended the University of Puerto Rico and University of Phoenix. Extensively trained on Trouble Shooting of Pfaudler Glass Lined Reactor’s, Heinkel Centrifuges, Alfa Laval Pumps and Control Valves; has been with PPS since 1991. Born in Brooklyn, NY 1963, Graduated from the University of Phoenix with a Master of Business Administration – Human Resource Management & American University of PR with a Bachelor in Business Administration. Is responsible of the Accounting and Administration areas of the company.